The Hair Transplant Mauritius Project is an innovative project hosted by YN Clinic in Mauritius with the goal of bringing the best surgeons in the world to perform surgeries. 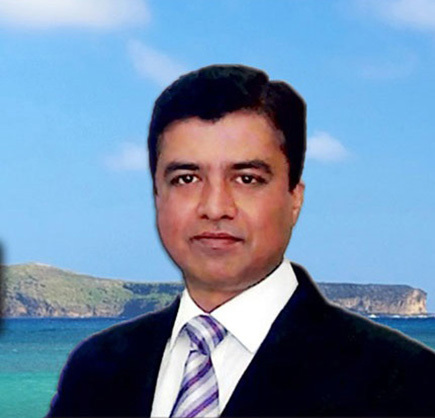 Dr Arvind Poswal is one of our selected world top surgeon. He will perform surgery in Mauritius from September 10 to September 16, 2018, in Mauritius. Dr. Arvind Poswal, an inventor, an artist, a perfectionist and a teacher is popular among his patients and peers alike. He completed his medical studies from the prestigious Armed Forces Medical College, Pune (India). A pioneer in various aspects of hair restoration, he is the first Hair Transplant doctor from India to be granted membership of the prestigious AmeriHair lossloss Association and to be featured on USA based the bald truth radio, Fox News etc. He has also trained numerous doctors in the field of hair transplant, some of whom now work in the USA while others work alongside him at his centre.